We have participated in some dog shows receiving mainly very nice judgings. 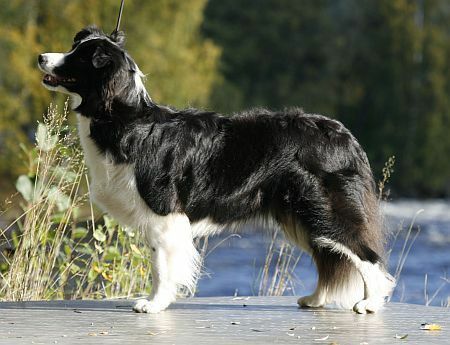 In October 2009 by passing Finnish Character Test for Dogs she became Finnish Show Champion at age of 2 years and 2 months. The title of Estonian Show Champion she received at the age of 4 years. In summer 2012 she received three different titles: Latvian Show Champion, C.I.E and C.I.B. Two years later she became Lithuanian and Baltic Champion. In 2016 and 2017 she obtained four new champion titles: EE VCH, LT VCH, LV VCH and BALT VCH. Kiia is just like a fine wine. The older the better as she has got many wins as veteran.